Sony Mobile Communications is planning to cut 1,000 jobs globally by the end of March next year to increase operational efficiency and reduce costs. Of the total, about 650 will be from a mobile division in Sweden, the wholly-owned subsidiary of Sony Corporation said in a statement. Sony Mobile plans to reduce its global headcount by around 15 per cent (about 1,000 personnel, including consultants) throughout the financial years of 2012 and 2013 (by the end of March 2014), as the company seeks to increase operational efficiency, reduce costs and drive profitable growth, the statement added. of strength," Sony Mobile President and CEO Kunimasa Suzuki said. Sony Mobile said it is altering the global operational structure of its development sites in Tokyo, Japan, Lund (Sweden) and Beijing and in October the company will move its corporate headquarters and certain other functions from Sweden to Tokyo. The statement added, however, that Lund will continue to be an important strategic site for Sony Mobile, with the main focus on software and application development. "Sony has identified the mobile business as one of its core businesses and the Xperia smartphone portfolio continues to gain momentum with customers and consumers worldwide," Suzuki added. 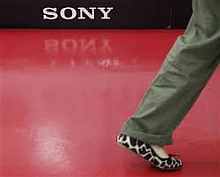 Earlier this month, Sony Corporation said its loss has widened to 24.55 billion yen in the first quarter ended June 30, from 15.45 billion yen a year ago. Sony is facing stiff competition from South Korea's Samsung Electronics and US-based Apple Inc in devices such as the iPhone and iPod.